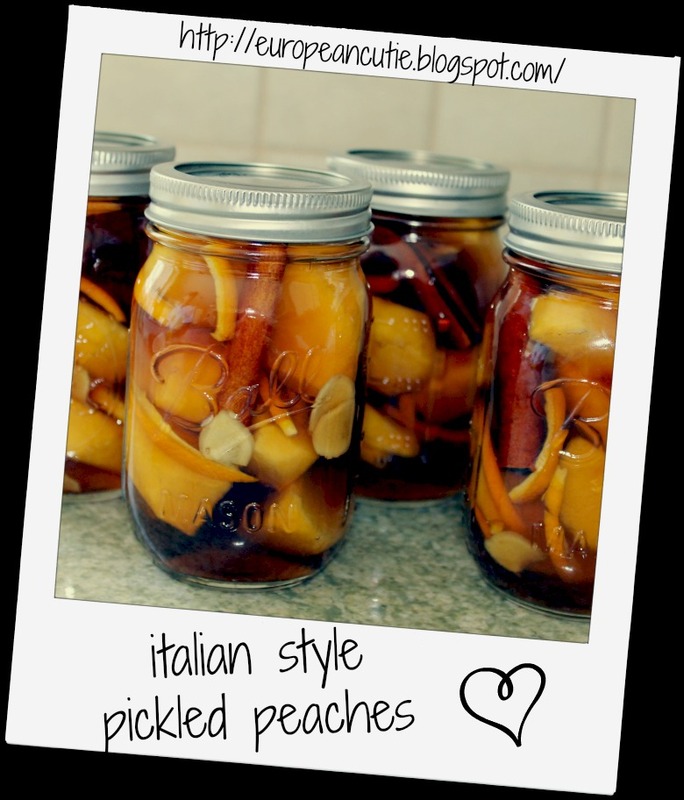 Peel peaches and cut into wedges. 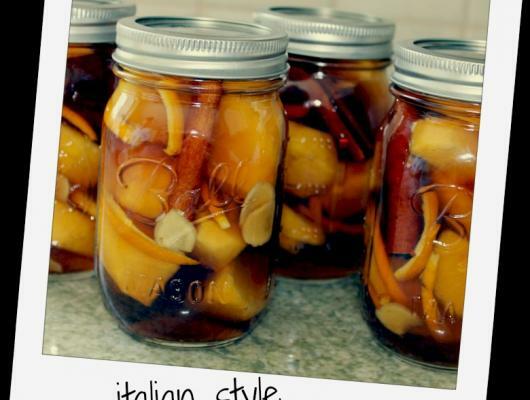 Pack peach slices, strips of orange zest, cinnamon sticks, and ginger into 4 Ball jars; set aside. In a sauce pan, simmer water, vinegar, sugars, bourbon, and vanilla until sugar dissolves. Cool liquid mixture slightly; pour over fruit, covering fruit and filling jar to the top.